From cafes and restaurants to even hotels, more and more venues are seeing a shift in their breakfast and brunch proposition. The option for breakfast on the go has never been greater, particularly for portable offerings with perceived health credentials. With many wanting to maximise their time, the pace of life means that people are often keen to multi-task in every aspect of their lives. Wrongly or rightly, this includes eating breakfast. Granted there are often the occasions when people enjoy taking their time and dwelling on their breakfast dining experience, but this additional desire offers an interesting opportunity to now broaden the casual dining repertoire. Quality dining venues are now able to compete with the more traditional grab and go outlets on the high street and potentially offer greater value for money for a superior offering. The key is to maintain simplicity, so it does not disrupt normal service and to carefully pitch the price to be competitive. 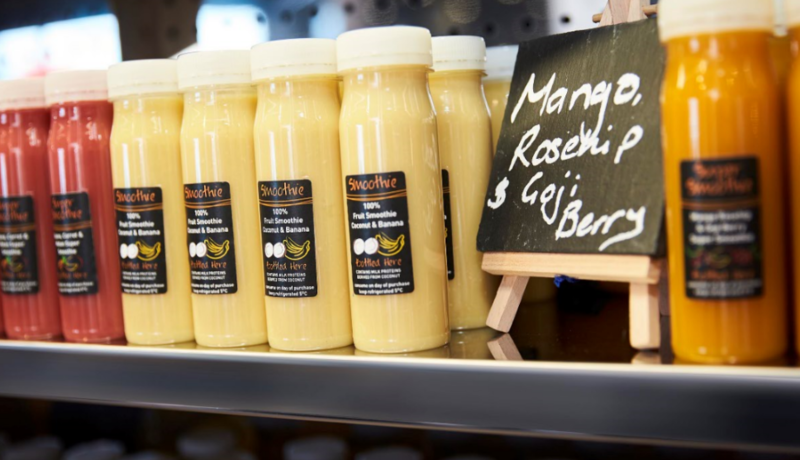 Even offering a croissant or pastry with a nutritious juice, smoothie or coffee can be more appealing than tackling the typical high street rivals for a similar offering. A juice and smoothie grab and go concept enables you to rival branded juices and drinks while in turn also generating excellent returns.